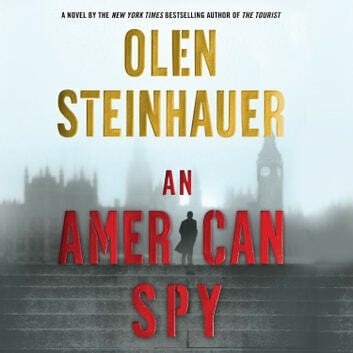 In Olen Steinhauer's bestseller The Tourist, reluctant CIA agent Milo Weaver uncovered a conspiracy linking the Chinese government to the highest reaches of the American intelligence community, including his own Department of Tourism---the most clandestine department in the Company. The shocking blowback arrived in the Hammett Award--winning The Nearest Exit when the Department of Tourism was almost completely wiped out as the result of an even more insidious plot. 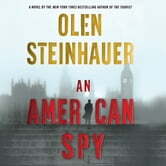 Following on the heels of these two spectacular novels comes An American Spy, Olen Steinhauer's most stunning thriller yet. With only a handful of "tourists"---CIA-trained assassins---left, Weaver would like to move on and use this as an opportunity to regain a normal life, a life focused on his family. His former boss in the CIA, Alan Drummond, can't let it go. When Alan uses one of Milo's compromised aliases to travel to London and then disappears, calling all kinds of attention to his actions, Milo can't help but go in search of him.